At least 65 civilians have been killed and 285 others injured in the conflict in Ukraine's Donbass since the beginning of the year, Alexander Hug, the Organization for Security and Co-operation in Europe Special Monitoring Mission (OSCE SMM) principal deputy chief monitor, said Friday. 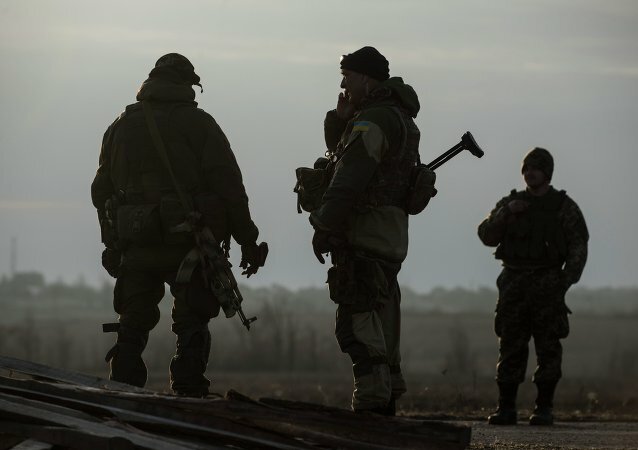 The Organization for Security and Co-operation in Europe Special Monitoring Mission (OSCE SMM) to Ukraine is set to visit the area of the planned disengagement of forces in the war-plagued Donbass region on Monday. OSCE SMM Principal Deputy Chief Monitor confirmed on Sunday that the monitor killed by a vehicle blast was a US citizen. SMM Principal Deputy Chief Monitor stated that Organization for Security and Co-operation in Europe's Special Monitoring Mission to Ukraine urges all sides involved in settling the conflict in eastern Ukraine to react more actively to its reports and to take action. The mission's Principal Deputy Chief Monitor said that Organization for Security and Co-operation in Europe Special Monitoring Mission to Ukraine holds no discussions over EU sanctions against Russia, including at meetings with EU politicians in Brussels. The current aggravation of the situation in Donbass may result in humanitarian and ecological crisis, the principal deputy chief monitor of the OSCE SMM to Ukraine said Friday. Ukrainian military continued artillery shelling of neighborhoods of eastern town of Ysynuvata throughout the night and into Wednesday, a spokesperson for local administration said. 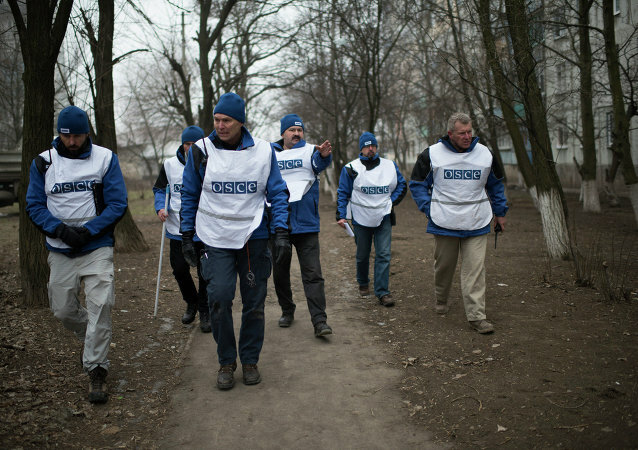 OSCE monitoring mission to Ukraine will visit Donbass' Avdiivka and Yasynuvata in Donbass on Wednesday amid aggravation of the security situation on the line of contact. All the 57 OSCE members have to unanimously agree to deploy a police mission to Donbass, the principal deputy chief monitor of the OSCE Special Monitoring Mission (SMM) to Ukraine told Sputnik. 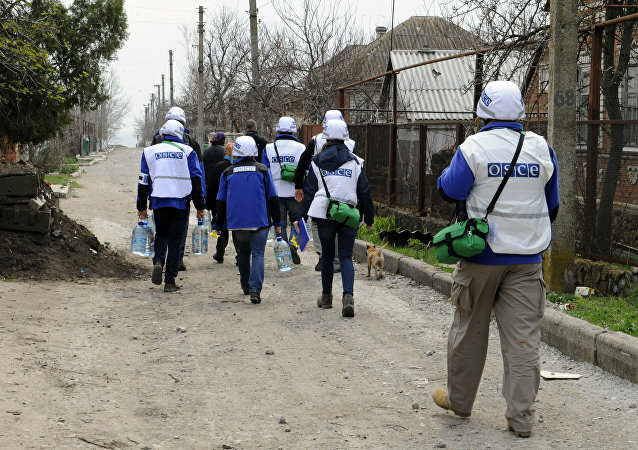 The humanitarian situation in Donbass had not improved since the beginning of the year, according to the OSCE mission. 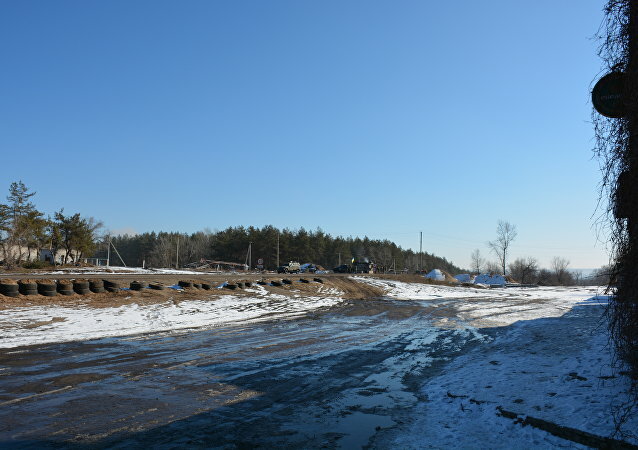 The access to humanitarian aid and social benefits for Donbass residents is hindered. The Minsk deal is subjected to numerous violations, which destabilizes the situation in Donbass. Alexander Hug, the Organization for Security and Co-operation in Europe's (OSCE) deputy chief monitor in Ukraine, said that Special Monitoring Mission in Ukraine played a key role in verifying and observing the Minsk agreements. The escalation of the conflict between Kiev forces and local militia in eastern Ukraine does not necessarily mean the total failure of the Minsk peace agreements, the deputy chief monitor of the Organization for Security and Co-operation in Europe (OSCE) in Ukraine said Wednesday. OSCE Deputy Chief Monitor said that Organization for Security and Co-operation in Europe's monitors in eastern Ukraine have reported the use of heavy weapons by both sides of the conflict in eastern Ukraine. 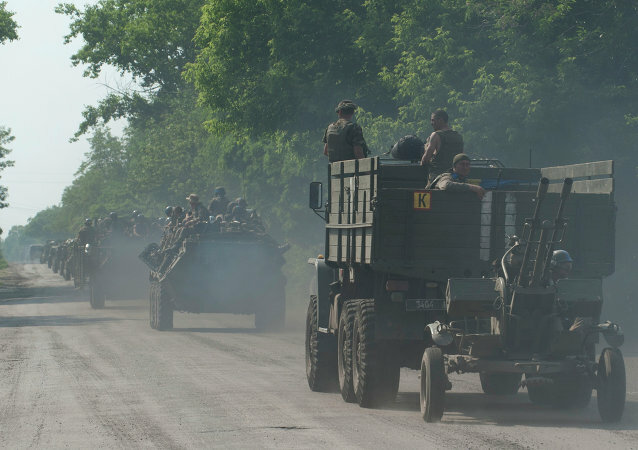 OSCE found a hight combat readiness of both the Ukrainian Armed Forces and Donbass independence supporters. Ukrainian volunteer battalions have reportedly refused to leave the village of Shirokino in eastern Ukraine, which had been declared a demilitarized zone. The OSCE Special Monitoring Mission's chief urged the warring parties in Donbass to stop shelling "comprehensively and completely." Russia will keep on participating in the decision-making process in the Organization for Security and Co-operation in Europe’s Special Monitoring Mission (OSCE SMM) to Ukraine, the mission's deputy chief monitor told RIA Novosti Saturday. 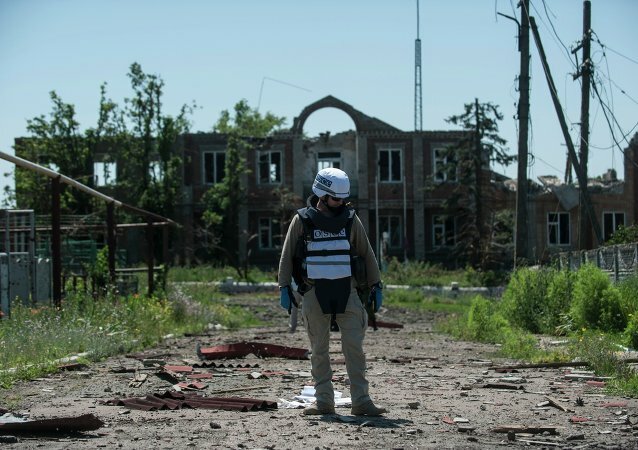 The OSCE mission noted increasing ceasefire violations in Ukraine’s eastern Donbass region.